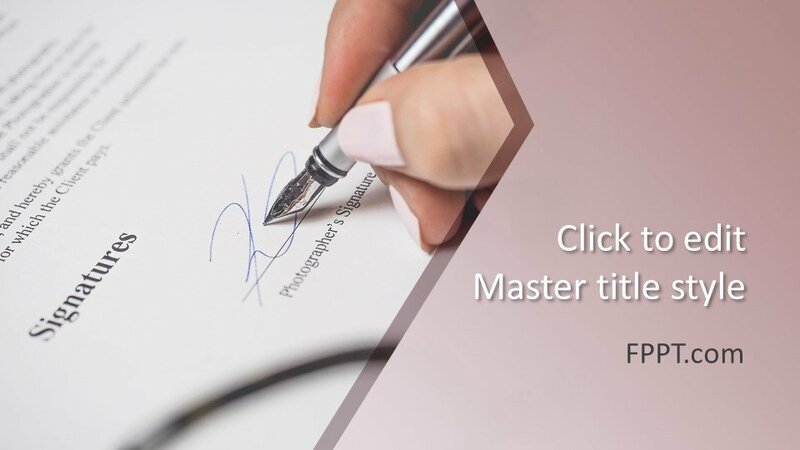 Signatures are considered a symbol of personal recognition and are widely used in business, not only for agreements but to close deals and contracts. 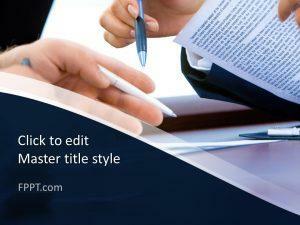 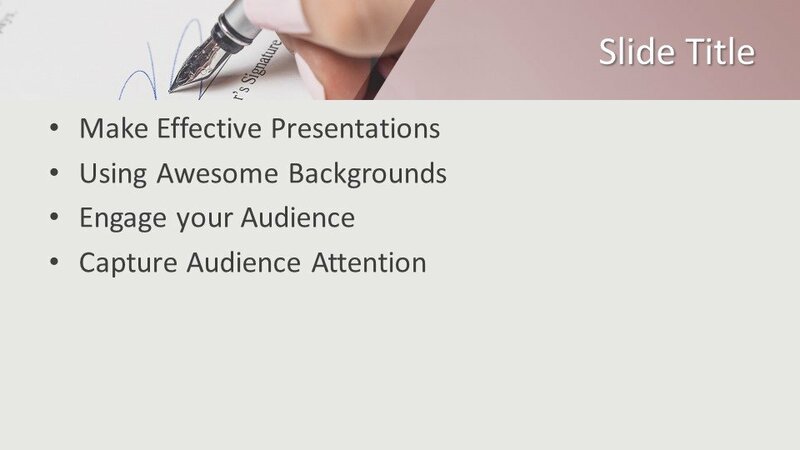 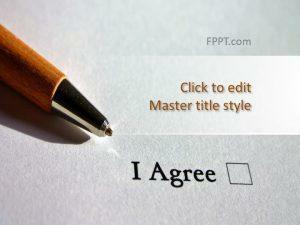 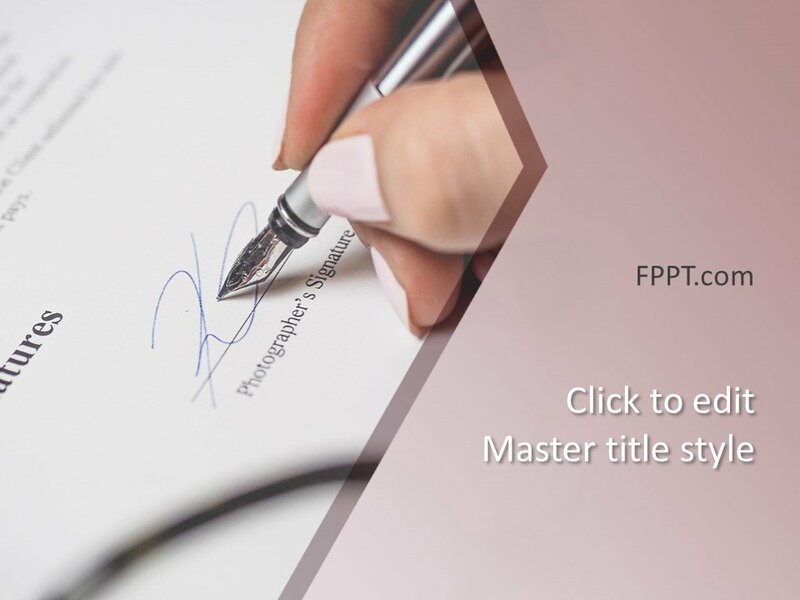 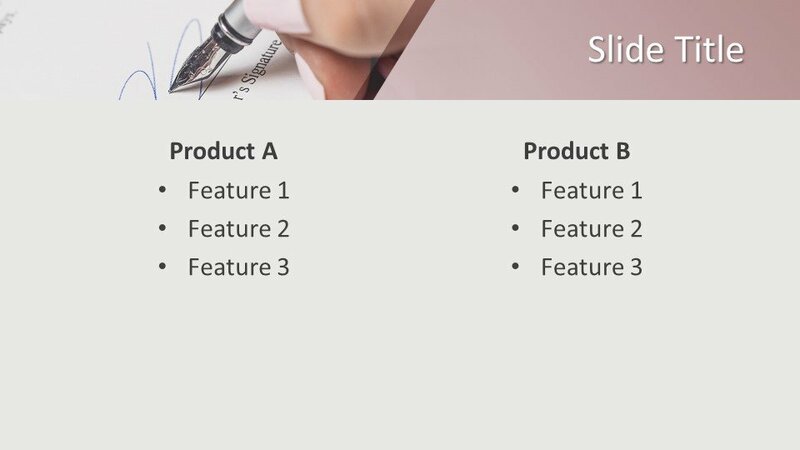 This Free Signature PowerPoint Template with the image of a pen and signature sample is a wonderful representation of sign in a document. 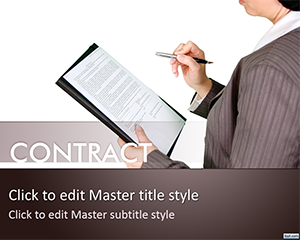 The template design is suitable for the presentations on agreements, partnership, contracts or even in the importance of signature, the strength of signatures and taking care of signing any document. 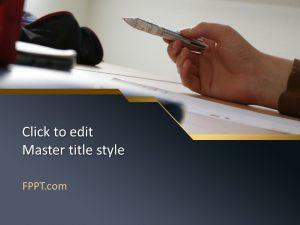 The template design is free of cost to download and place it in the main slides or background of the design. 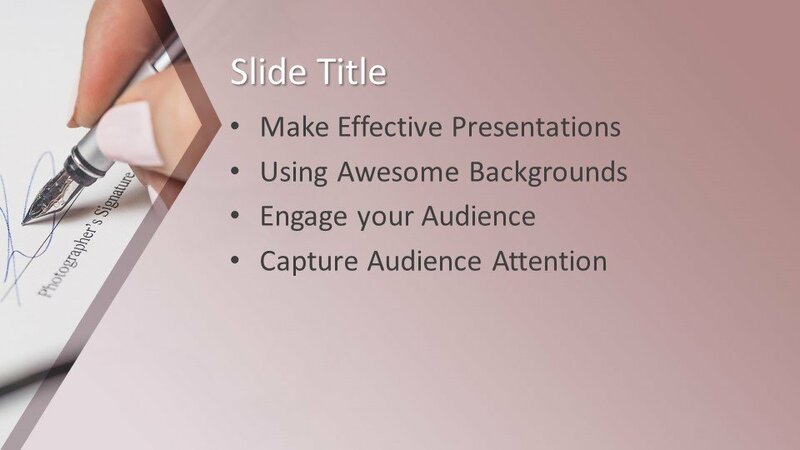 Three more slides are also available for further progress in the presentations. 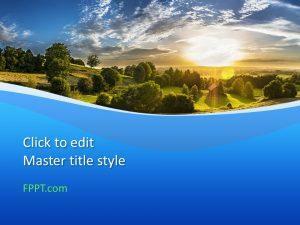 The template design is made compatible with all latest versions of Microsoft PowerPoint and you can make it perfect according to the requirement.